Memorial Stadium is a football stadium located in Bloomington, Indiana. 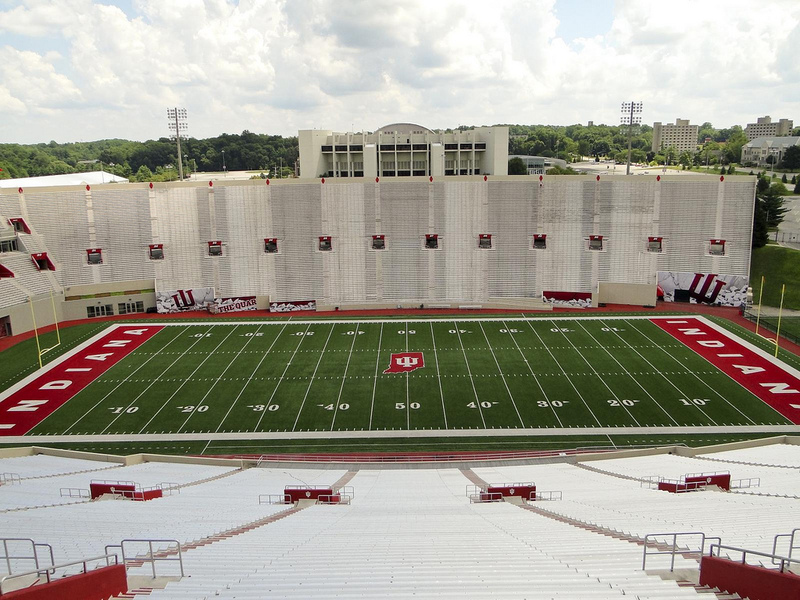 It serves as the home football field of the Indiana Hoosiers Football team. Memorial Stadium opened in 1960 and holds 50,180 University of Indiana football fans. Indiana Memorial Stadium is also known as the Rock. In 2010, the student seating section at Memorial Stadium was nicknamed the Quarry. In 2005, head football coach Terry Hoeppner had a southern Indiana limestone boulder, nicknamed “The Rock”, installed in the north end zone as a new campus tradition. This limestone boulder was found prior to Hoeppner’s first season at IU buried in the practice field. It was removed, put on a granite slab and moved to the stadium. The Hoosiers and coach Hoeppner walked out and touched the Rock before running onto the field at every home game during Hoeppner’s tenure as head coach.